Sultanpur Lodhi is one of the most ancient cities of India, estimated to have been established around the 1st century AD. Cunningham, in his History of the Sikhs, says that Sultanpur was originally called Tamasvana and was very famous as a Buddhist settlement. Over the years it had become a picture of decay and neglect. It was restored partially by Sultan Khan Lodhi, a general of Mahmud Ghazni. The Governor of Lahore at the time was Tatar Khan Lodhi, a cousin of Behlol Khan Lodhi, the founder of the Lodhi dynasty. Tatar Khan Lodhi had given the area of Sultanpur to his son Daulat Khan Lodhi as a jagir in 1504. Daulat Khan would later become the governor of Lahore. But even after he moved to Lahore, he retained Sultanpur as the capital of his personal jagir. Sultanpur Lodhi was also the center point of the old trade route between Delhi and Lahore. It was a major trade center of north India at that time. During Guru Nanak's stay in Sultanpur, Daulat Khan Lodhi was the nawab. 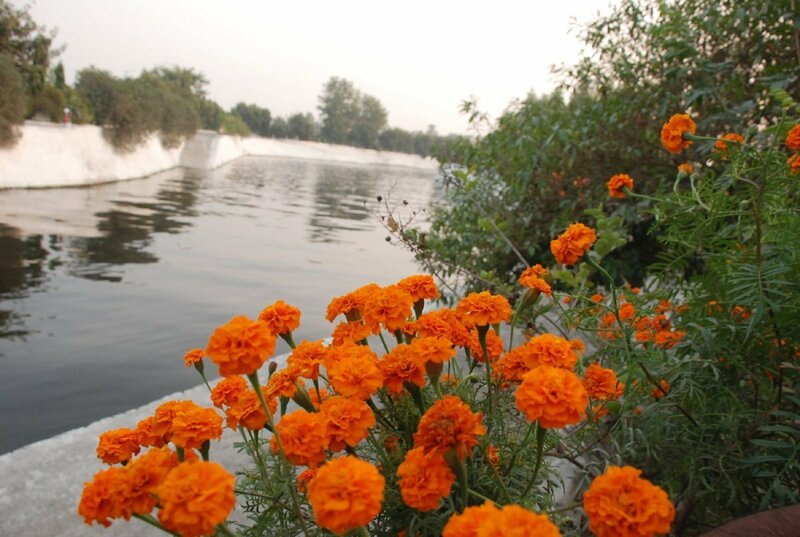 Sultanpur soon earned a reputation as a rich and prosperous town. Many young and enterprising men came there to make their fortune and then stayed on, contributing further to the town's prosperity. After Nankana Sahib (now in Pakistan), Sultanpur Lodhi is perhaps the most related to life of the first Guru, Guru Nanak Sahib Ji. In 1475 AD the elder sister of Guru Ji, Bibi Nanki Ji was married to Jai Ram of Sultanpur Lodhi. In 1483 Guru Ji's father sent Guru Ji to Sultanpur Lodhi where Jai Ram had found him a job. Guru Ji was employed as the modi (person in-charge) of the nawab's modi khana (civil supplies store). 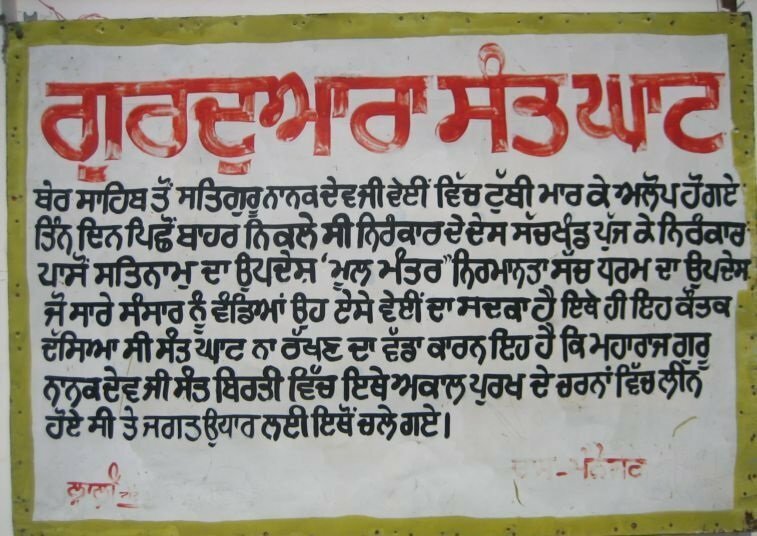 In June 1488, Guru Nanak married Bibi Sulakhani in Sultanpur Lodhi. The Guru's two sons where born in Sultanpur Lodhi, Sri Chand in July 1494 and Lakhmi Das in Feb 1497. Guru Nanak lived in Sultanpur Lodhi for about 14 years and then left to begin his travels and spread Sikhi. During that time in Sultanpur Lodhi, a sangat grew around Guru Nanak. The sangat, which so prospered that Bhai Gurdas in his Varan (XI.21), called Sultanpur the 'treasure of God's adoration'. Today Sultanpur Lodhi has several gurdwaras commemorating events connected with the life of Guru Nanak. 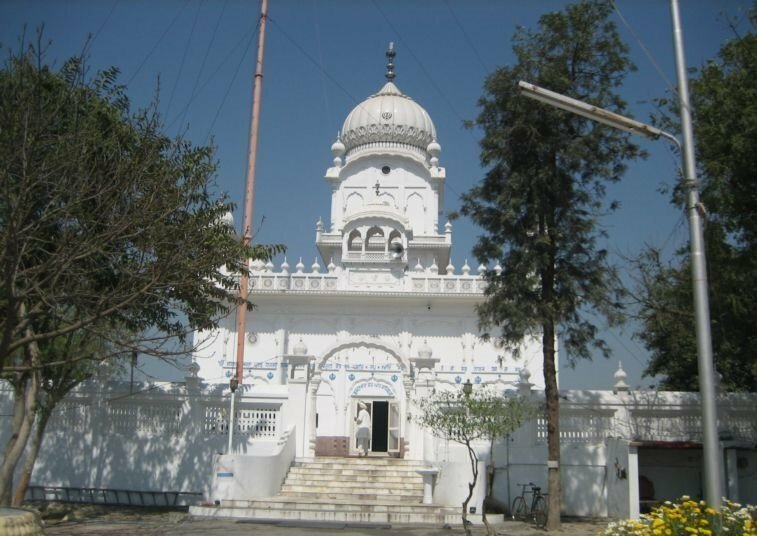 Gurdwara Sri Antaryamta Sahib, a flat roofed rectangular room marks the site of a mosque to which Nawab Daulat Khan had invited Guru Nanak to participate in namaz or muslim prayer. Divining how the Nawab and the Qazi were only outwardly going through the ritual with their minds engrossed in worldly thoughts, Guru Nanak stood aside. When Guru Nanak reappeared after his disappearance in the river Bein, Guru Sahib declared, "There is no hindu and no musalmaan". When the Nawab asked him why he did not join the prayer, he told them exactly what he and the Qazi had been thinking of as they prayed. Both, as say the Janam Sakhis, fell at the Guru's feet. Nothing remains of the mosque now except the entrance gate to the compound. 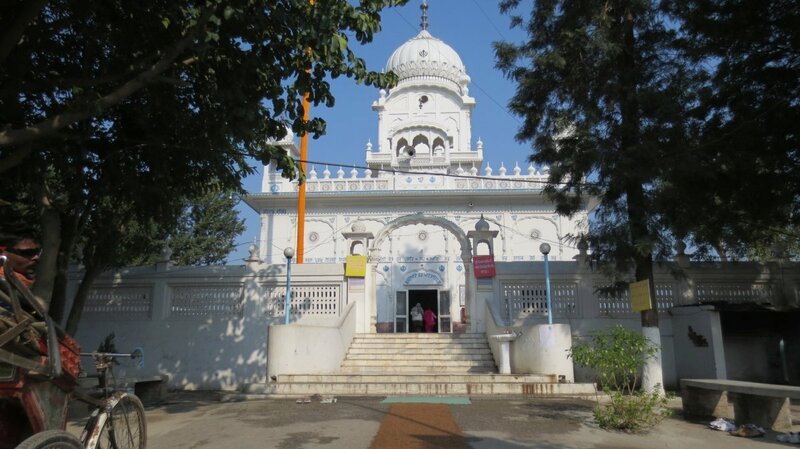 Gurdwara Sri Bebe Nanaki, constructed in 1970's, honours the memory of Bebe Nanaki, elder sister of Guru Nanak. The actual house, a three storeyed old building where Bebe Nanaki is believed to have lived with her husband, Jai Ram, is inside the old town in Mohalla Chhimbian. But the premises being in private possession, a public monument (cornerstone, laid on 13th November 1970) was raised in the form of a gurdwara by Bebe Nanaki Istri Satsang Charitable Trust under the chairmanship of Bibi Balvant Kaur of Birmingham (United Kingdom). Bebe Nanaki - Bebe Nanaki was elder sister of Guru Nanak. Gurdwara Sri Bebe Nanaki comprises a central hall, with the Guru Granth Sahib seated in a white marble palaki at the far end. The Guru Granth Sahib is also seated in a small side room symbolizing Bebe Nanaki's own lodging. Over the sanctum, above the hall roof, is a square domed room with arched copings. Bulbous domes adorn the corners of the hall roof. Gurdwara Sri Ber Sahib, the largest Gurdwara at Sultanpur Lodhi, is situated on the bank of the rivulet Kali Bein, half a kilometre to the west of the old town. Gurdwara Ber Sahib is built by the side of an old ber tree which is believed to be the one under which Guru Nanak would sit in meditation. 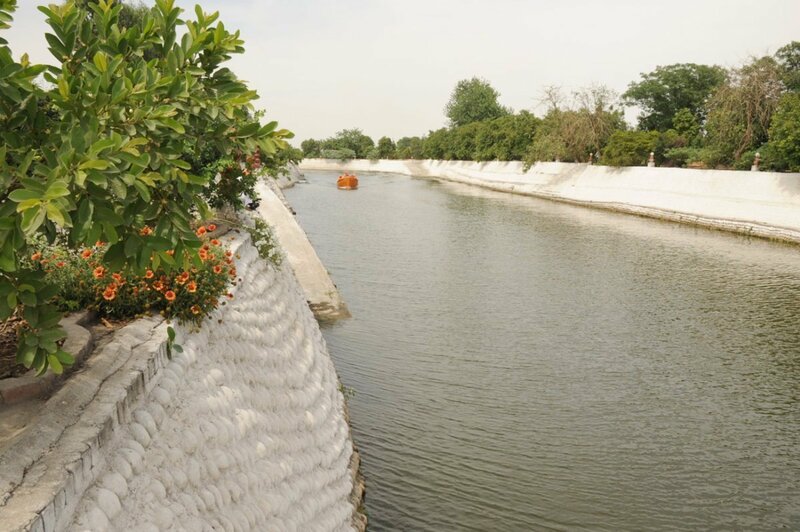 Guru Nanak performed his morning baths in the River Bein and then sat under a ber (Zizyphus jujuba) tree to meditate. Guru Ji meditated at this tree daily for 14 years, nine months and 13 days. It was during one such bath in the river that Guru Nanak had (as described in the janam sakhis) a direct communion with God. Every morning, Nanak got up early and went to take a bath in the river. One day, he disappeared in the water. 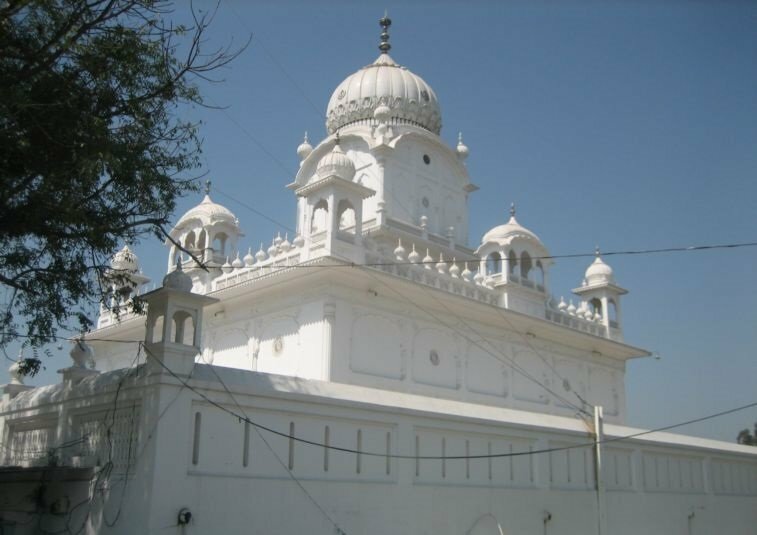 The present building of Gurdwara Ber Sahib was built by Maharaja Jagatjit Singh of Kapurthala. The cornerstone was laid by Bhai Arjan Singh of Bagarian on 25 February 1937, and the Gurdwara was on completion dedicated by Lieutenant General Maharaja Yadavinder Singh of Patiala on 26 January 1941. Standing on a high plinth and entered through a portico, supported by octagonal columns, and a small entrance gallery is the high ceilinged, marble floored hall. At the far end, marked off by a high archway decorated with floral designs in stucco, is the sanctum sanctorum, where the Guru Granth Sahib is seated on a white marble palaki or canopied throne. Besides the daily services and observance of important Sikh anniversaries, a largely attended fair takes place each November to mark the birth anniversary of Guru Nanak. Gurdwara Sri Guru Ka Bagh, a flat roofed hall in the interior of the town marks the premises where Guru Nanak resided with his wife and children during there stay at Sultanpur. The Guru Granth Sahib is seated in the hall on a rectangular platform. There is also a narrow well, which is now covered. 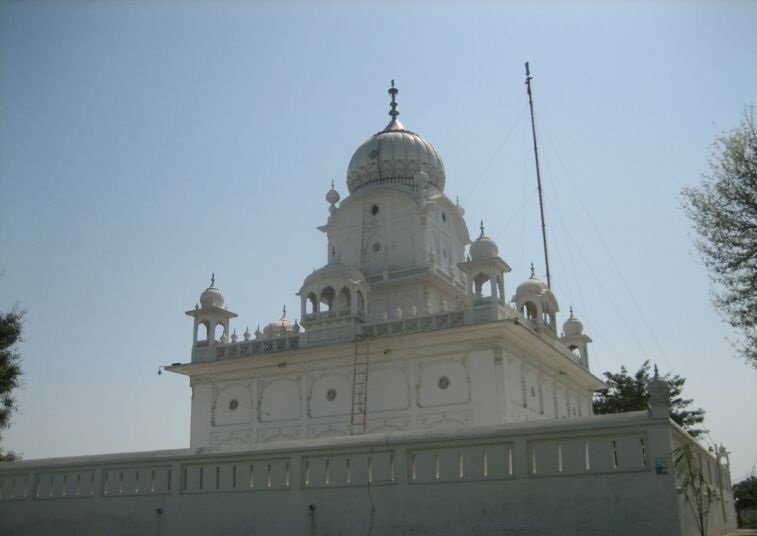 Gurdwara Sri Hatt Sahib, south of the old fortress like sarai, marks the spot where Guru Nanak worked as the custodian of Nawab Daulat Khan's provision stores. The building comprises a hall, with a square sanctum in its middle. Above the sanctum is a square room with wide arched coping and a lotus dome topped by a gold plated finial. Guru Nanak's brother-in-law positioned the Guru in the post of a store-keeper in the Nawab's state granary. One day, when Guru Nanak was weighing provisions and was counting each weighing as 'one, two, three... ten, eleven, twelve, thirteen'. When he reached the number thirteen (13)- 'Tera' (in Punjabi language Tera means number 13, and Tera also means 'thine', that is 'I am Thine, O Lord'), he went into meditation. Guru Nanak went on weighing by saying," Tera, tera, tera..." The customers were happy to receive the extra provisions and did not know how to carry so many goods. They could not understand the bounties of the Lord. Ultimately the situation reached Nawab Daulat Khan when a charge was levied against the Guru that he was recklessly giving away grain. The Nawab ordered an inquiry which was conducted very carefully. The Guru's detractors were surprised when the stores were found full. In fact, the accounts showed an extra surplus in favour of Guru Nanak. Thirteen polished stones of different sizes, believed to be the weights used by Guru Nanak, are on display in a glass cabinet. Gurdwara Sri Kothri Sahib, a narrow low roofed cell in a small house in Mohalla Vaddian, is where Guru Nanak was detained while his accounts were being checked following a false complaint lodged by his detractors. In one of the two small rooms close by is seated the Guru Granth Sahib. 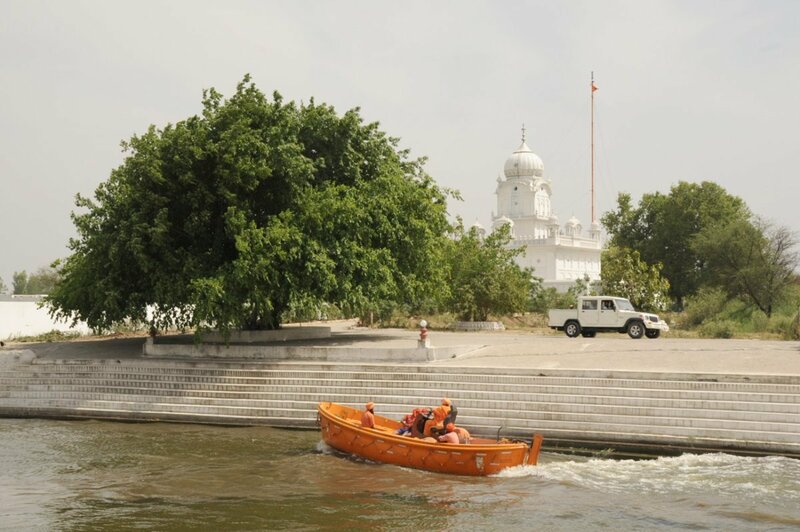 Gurdwara Sri Sant Ghat Sahib, on the bank of the River Bein, is where Guru Nanak re-emerged on the third day of his disappearance into the river near the site of Gurdwara Sri Ber Sahib. As the Janam Sakhis narrate the details, Guru Nanak one morning disappeared into the stream and was not seen for three days. When he reappeared at a spot, 2km upstream, now known as Sant Ghat, the first words he uttered were, "There is no musalmaan. There is no hindu. God is not a hindu or a muslim. Whose path shall I follow? I will follow God's path." Guru Nanak was now ready to embark on his long journeys. 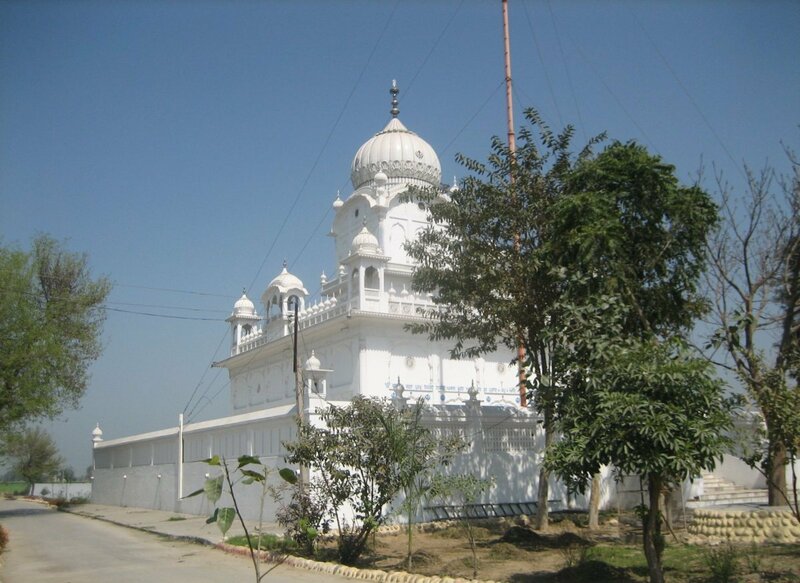 Gurdwara Sri Sehra Sahib is dedicated to Guru Arjan who passed through Sultanpur in 1604 on his way to Dalla for the marriage of his son, Hargobind, the future Guru Hargobind (revered for his concept of Miri and Piri). According to tradition, the marriage party stayed overnight at this place and the sehra, or ceremonial wreath was fastened round the bridegroom's head here. The Gurdwara, within a brick paved walled compound, is an octagonal domed room in which the Guru Granth Sahib is seated. All of the Gurdwaras at Sultanpur Lodhi (with the exception of Gurdwara Sri Bebe Nanaki, which is under the management of a Trust) are administered by the Shiromani Gurdwara Parbandhak Committee through a local committee.